More details on the upcoming PlayStation 4 title. IGN spoke to Kojima Productions boss and Death Stranding director Hideo Kojima following the reveal of the game’s latest trailer last week. The baby that washed upon the shore in the first trailer, transported into a tube in the second trailer, and appeared inside Sam’s esophagus in the third trailer was one and the same. “The baby relates to game mechanics as well as the story as a whole,” Kojima said. The mounted robot arms attached to Sam and the other characters has a name, but Kojima would not share it. It seemed that they sparked to life whenever that person came into possession of the baby. The latest trailer occur shortly after the game’s prologue and is the earliest section of the game we have seen so far. The SAG-AFTRA strike of 2017 delayed performance capture and voice-over work. Kojima explained, “I also had a hard time because I had Norman and Mads texting me asking what we were doing and I’d say ‘There’s a strike, there’s nothing I can do about it!’” With the strike having ended, full performance capture resumed last week. 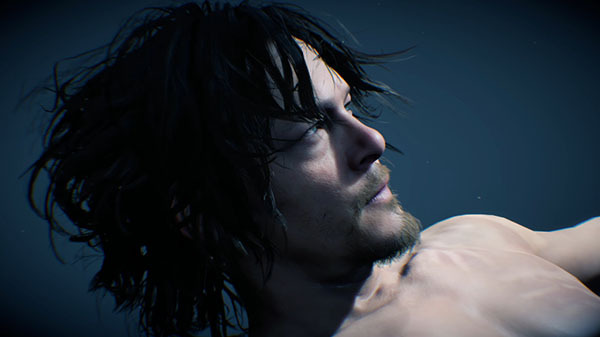 Death Stranding is currently in development for PlayStation 4.